Please, do use all the functions of ASOdesk! ASOdesk is the excellent system, but it won’t work without your cooperation! We in ASOdesk want to help you achieve every goal you have! Don’t shy to ask us! You can feel the full power of ASOdesk with the Plus and Business plans! You have few ways to add an app to the Dashboard. This is the very first and important step that everybody must do as it gives you the ability to work in our system, to use the unique tools and to do ASO. To find out more about the process of adding an application to Dashboard, click the button below. Keyword analytics tool will allow you to see all the data related to the keyword analysis. Open ASOdesk web application and the first page will be Keyword Analytics. Here you can add or remove keywords, add Competitors and do other actions. To learn more about Keyword Analytics, click the button below. Our system offers you five ways of adding keywords. It gives you the opportunity to track keywords that you will use to build a quality semantic core. 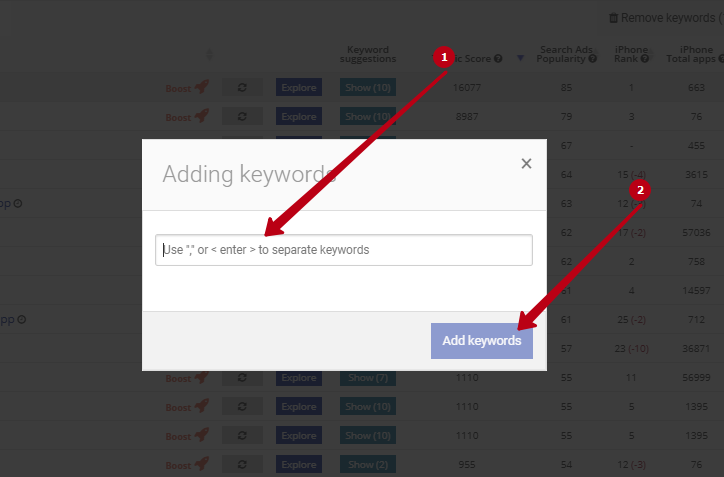 To learn more about the process of adding keywords, click the button below. Click on the tab "Keyword Explorer". Enter any keyword, and you will see a list of apps like it is assigned in the Store. In this tab you can add keywords, add competitors, monitor data of yours and your competitors. To learn more about Keyword Explorer, click the button below. You have some ways of setting Keyword Auto-Suggestions. 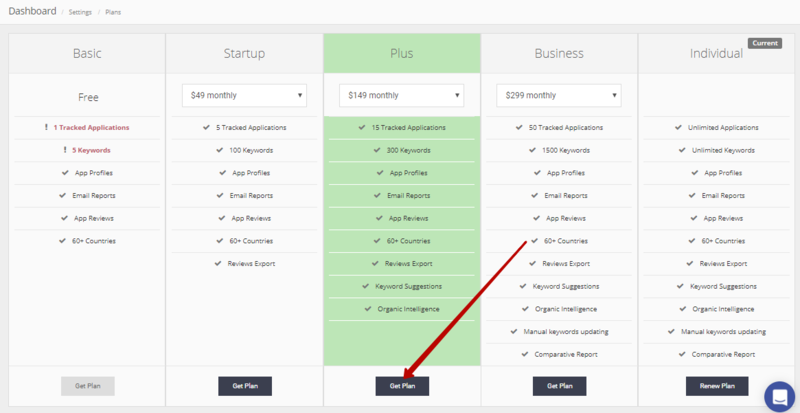 It gives you the opportunity to add, explore and use suggested keywords of your app, mobile store and your Competitors. To learn more about setting Keyword Auto-Suggestions, click the button below. 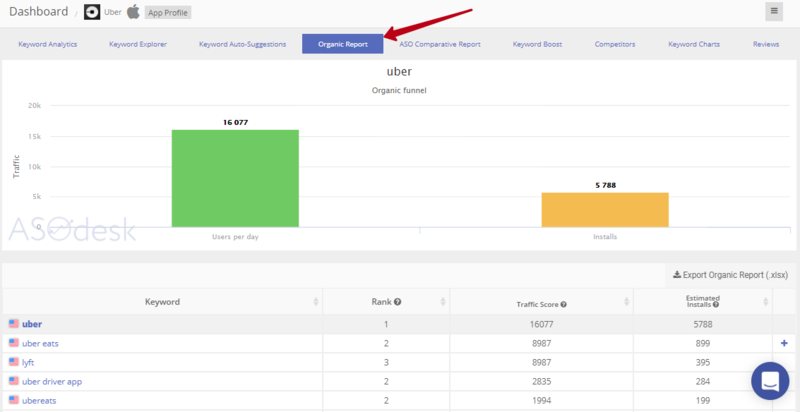 Organic Report displays all the search requests through which yours and your competitor’s apps are found in the top 30. To learn more about Organic Report, click the button below. ASO Comparative Report helps to track what led to the crucial change in app position. If you want to learn more about it, click the button below. 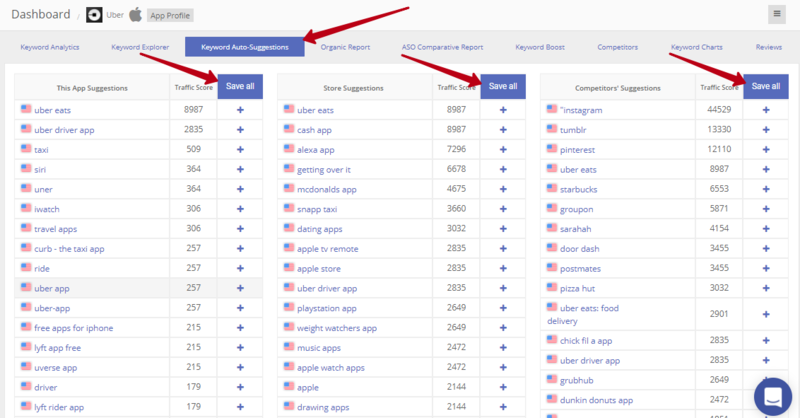 If you want to get top-1 by every keyword for your app, you need to try Keyword Boost. You can do it in two ways. Choose keyword, add it, pay for it. We will do installs for this keyword. To learn more about Keyword Boost, click the button below. There are three ways of adding Competitors to your Dashboard. It gives you the opportunity to know which position your competitors have towards your app and helps you to create the third column in Keyword Auto-Suggestions, which provides you with the chance to get the full semantic core. To learn more about the process of adding Competitors, click the button below. 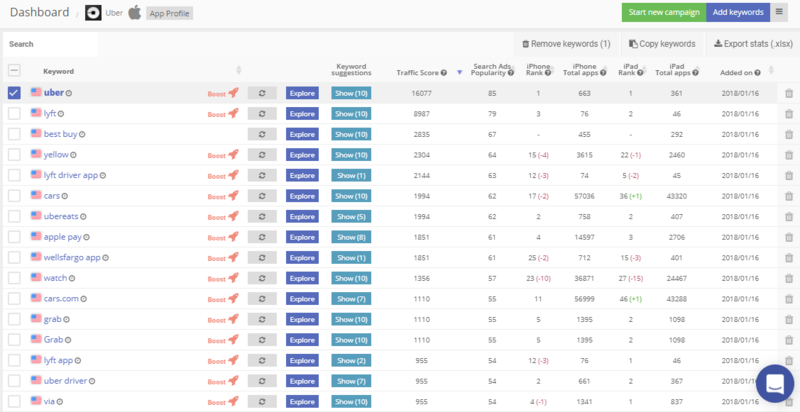 Open the tab "Keyword Charts". 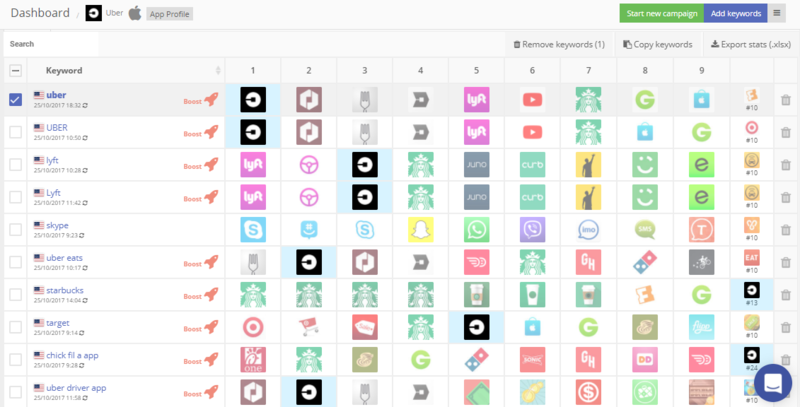 It gives you the opportunity to see keywords of your added app, data of apps placement and competitors. Also, you may note the date and time of the last keyword update. 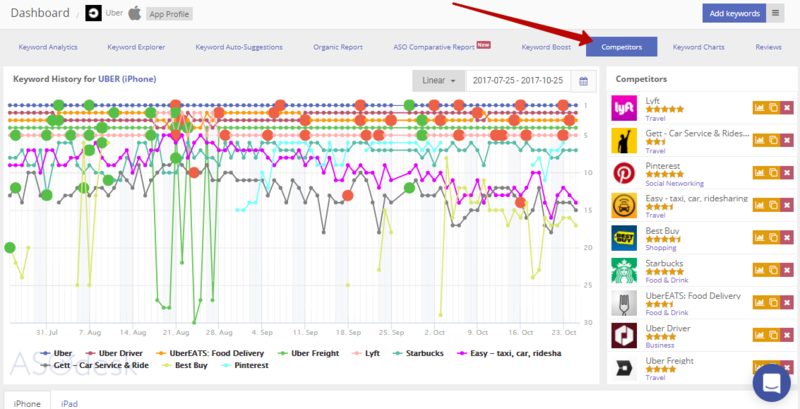 To learn more about Keyword Charts, click the button below. Integrate reviews of your app with Slack. There are three ways to do it. It gives you the opportunity to keep an eye on reviews (both yours and your competitors). 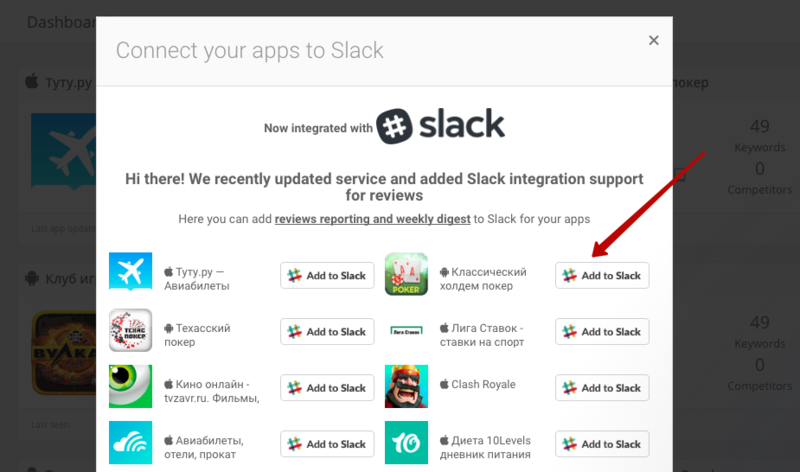 To learn more about slack integration, click the button below. Change Notification settings of your apps. Set up Notification settings in 2 ways. You can chose to get reports Daily or Weekly and Trending Alerts for every app via email, as well as this you can set up integration of Trending alerts with Slack. 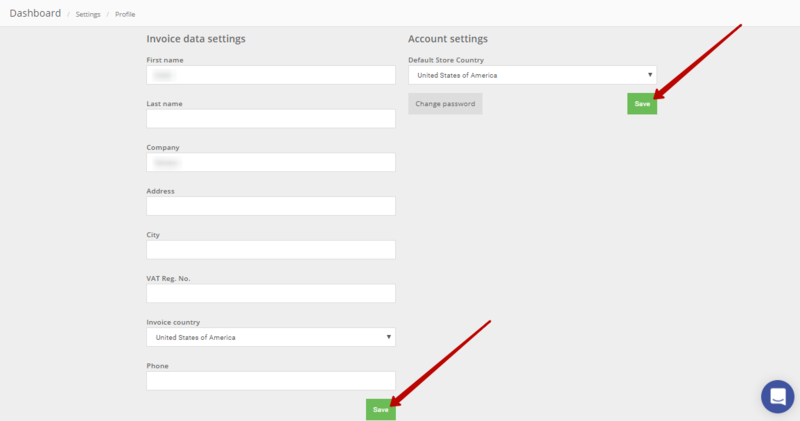 To learn more about Notification settings, click the button below. Fill in info of yours and your company's in the Profile, so that you get invoices with the correct information. You can do this in two ways. To learn more about filling data of you and your company in Profile, click the button below. Choose one of our plans and use our system, then your app will get a good result. You can go to the Plans page in two different ways. To learn more about Plans and how get a plan, click the button below. You will find All INVOICES AND ACTS in your Dashboard. You can get there in few ways for it. You need these documents for reporting. 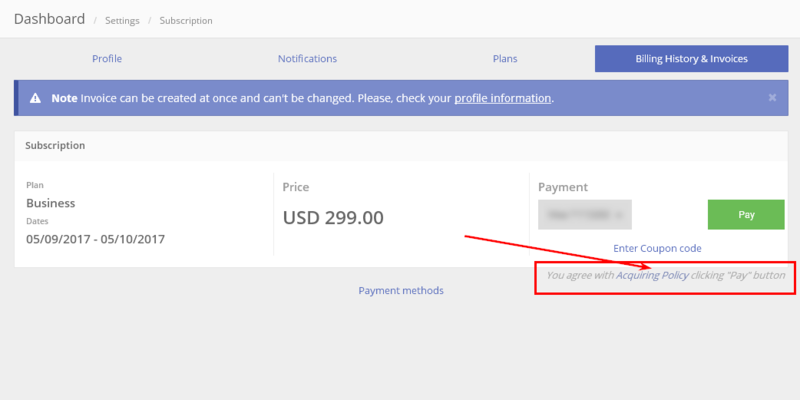 To learn more about INVOICES AND ACTS, click the button below. When you make any payments, read our documents. You will find out all the information about our rules and conditions from there. To learn more about ASOdesk documents, click the button below.